homify 360° is your one-stop source for all noteworthy architectural creations, whether it’s an elegant mansion, a rustic little cottage, or a super modern family home in the suburbs. 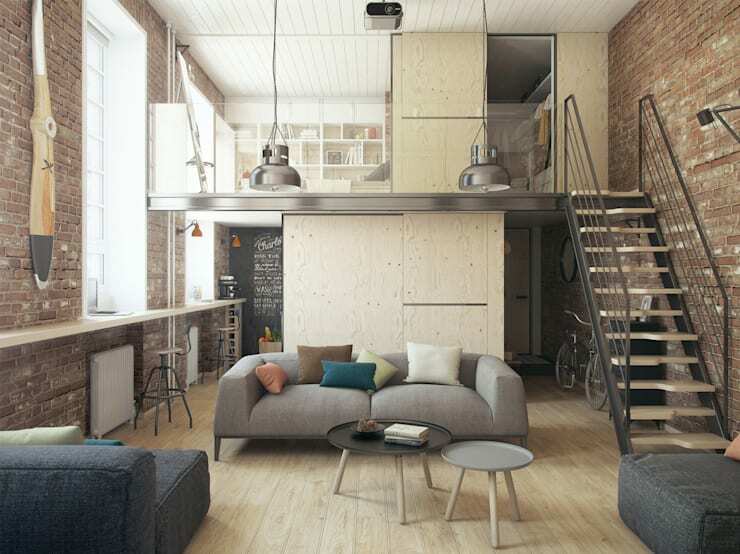 Today’s discovery takes on the form of an industrial-style city apartment – and yes, it has all the features that we love so dearly about the industrial style: exposed structural materials, industrial elements like bricks and beams, lots of open-floor spaces, and a cool and collected colour palette that doesn’t aim to surprise, but rather to impress in a subtle way. In addition, the architects make use of oh-so clever techniques to save space and conjure up a little extra legroom that we had no choice but to share this exceptional space with you. It seems that the gang’s all here: exposed brick wall, timber surfaces, steel lighting, high windows, and an earth-toned colour scheme. Yup, it’s the industrial/urban design style, all right! We start our tour of this charming little apartment in the living area, where a plush-looking couch (along with a selection of coloured scatter cushions) looks oh-so inviting. An open-riser staircase on the right leads to the private areas upstairs – and also draws our eyes upwards to appreciate the fabulous vertical space of this apartment. 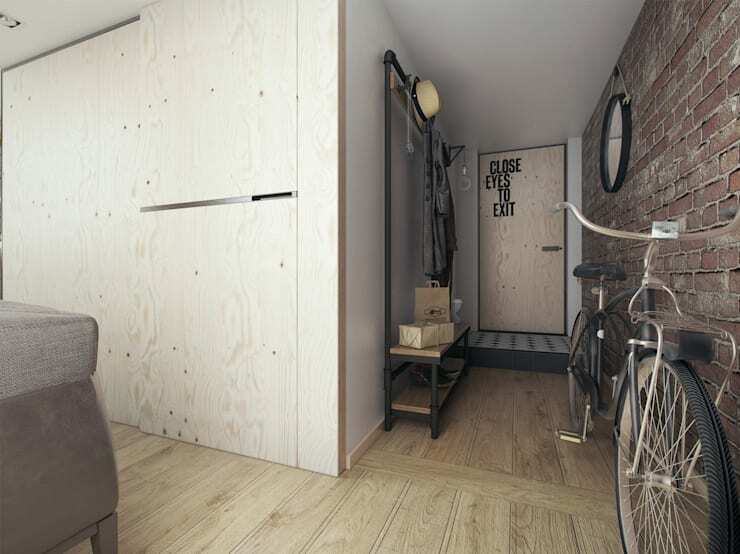 Those raw-and-natural-looking timber floorboards lead us into the entrance hall, which is slightly hidden from view. Although this area is not the most spacious, it makes use of its limited legroom quite stylishly: adequate storage/hanging space for a number of features has been included, as well as a handful of pattern/detail to catch our eye. Now this is certainly an entryway that says “welcome” in a charming way! It’s a simple manner of switching the dining table and living-room couch around if you want that dining space to be open on all sides – for when friends and family drop by for your dinner party, of course. Flaunting the same delicious materials and tones as the interior structure, the dining space is lit up fantastically via the abundance of natural light streaming in through the generous windows. Notice the quaint timber bar attached to the brick wall – a dashing space that can be used for either displaying a range of keepsakes and décor pieces, or double up as a desk or informal dining spot. We just LOVE the bedroom upstairs, which flaunts such a personalised look while also managing to look both cosy and inviting. Wall shelves take up an entire wall, presenting numerous storage- and displaying surfaces. 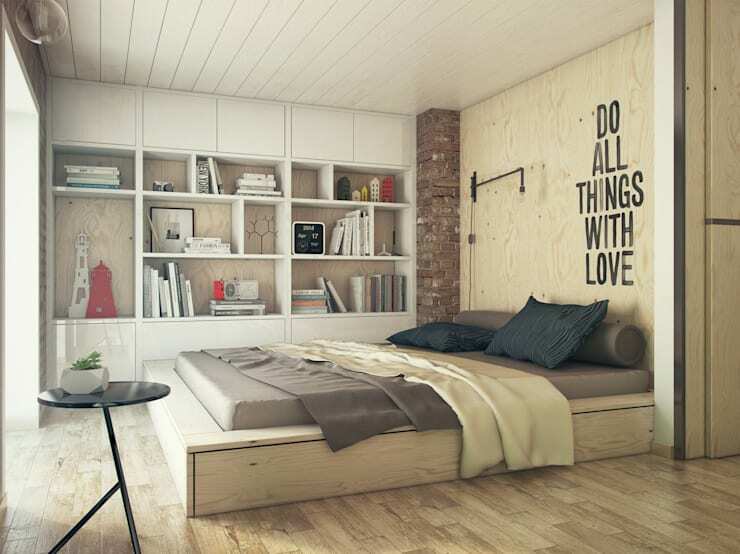 A timber-clad wall behind the bed plays the part of a unique headboard – with a personalised message to boot! We have time for one more room, and we picked the bathroom. Although the space is rather tiny, the architects deserve never-ending awards for making the most of the limited legroom. A crystal-clear glass pane plays the part of a shower door without diminishing any visual space. A wall-mounted floating sink clears up some floor area, while a loose-standing, crate-like compartment serves up adequate storage space for a few bathroom necessities. Definitely a bathroom where we can answer nature’s calls in style! 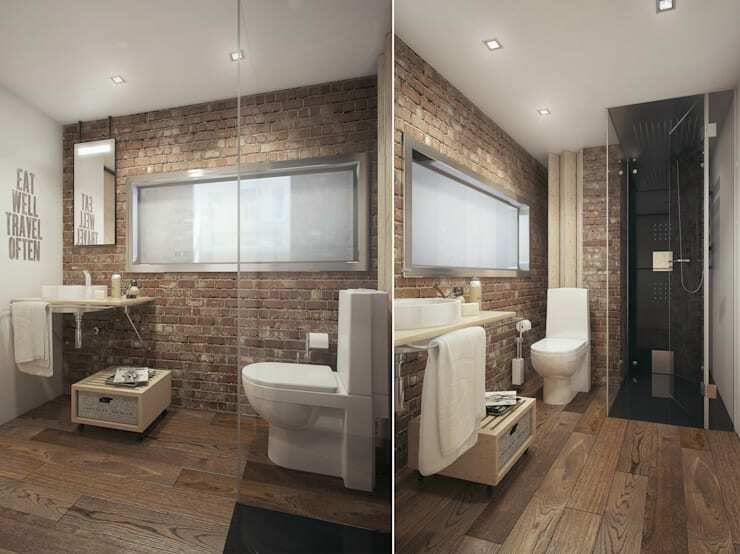 To inspire you, take a look at these: Bathroom options that will floor you. 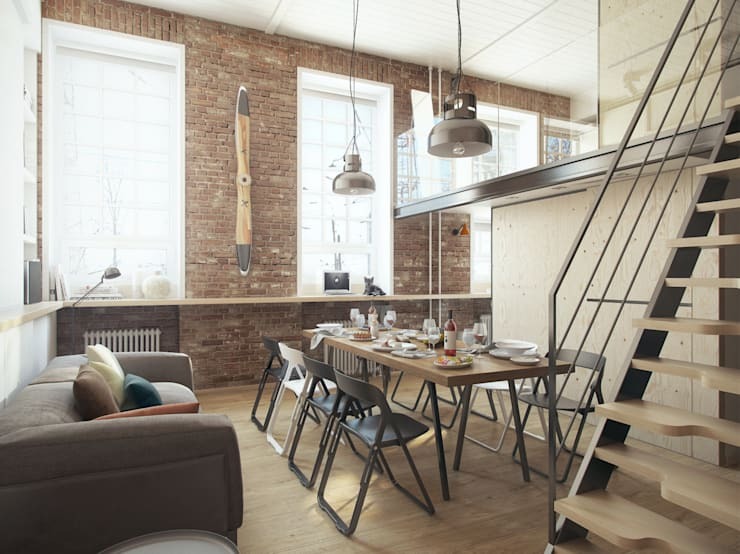 We love hearing from you, so tell us what you think about this apartment and its raw style.